Okay, so I’m a little slack. I wanted to make a recipe I have been holding onto since last year for eggnog muffins on Christmas morning. They even gave us eggnog at work a few days before Christmas, so I had no excuse really. But some of us work for a living, people! And some of us work and are kinda lazy! So, yes, Christmas came and went, and that bottle of eggnog just sat there. Staring. Wondering. Feeling unappreciated. Maybe even softly humming Christina Aguilera’s “Beautiful” to itself to block out the judgmental whispers of the almond milk and coffee creamer. It even almost happened last weekend. I got up and I proclaimed “It’s happening”. Then I went and got the recipe and realized,it was going to happen. Something in me just refused to make muffins. But it stayed on my brain all week, and evolved. 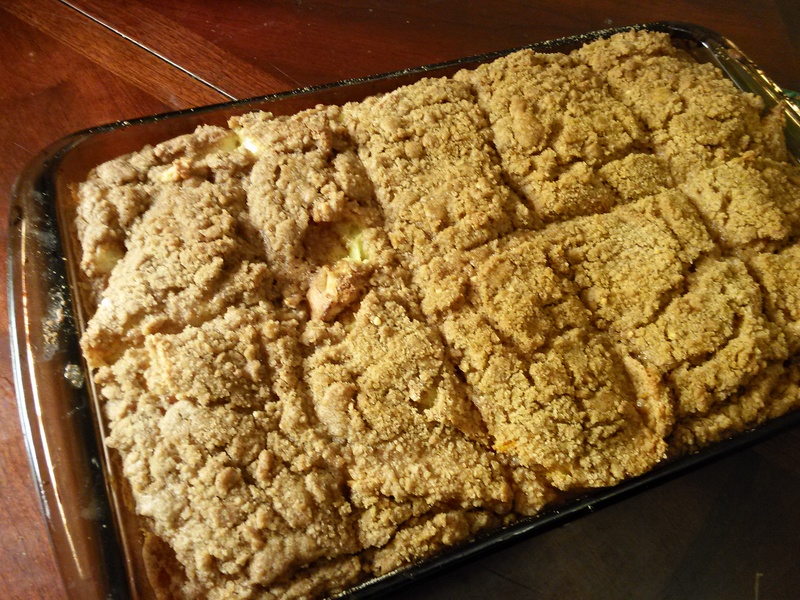 What if instead of eggnog muffins, I make eggnog bread pudding? Yes. It shall be so. Sometimes you have a vision for one thing, and you end up with something else. I decided to arrange my bread in the pan beautifully and soaked it over night. I had planned on just sprinkling it with some brown sugar, cinnamon and nutmeg; but when I pulled it out the fridge this morning I knew that sucker had to be topped with streusal. 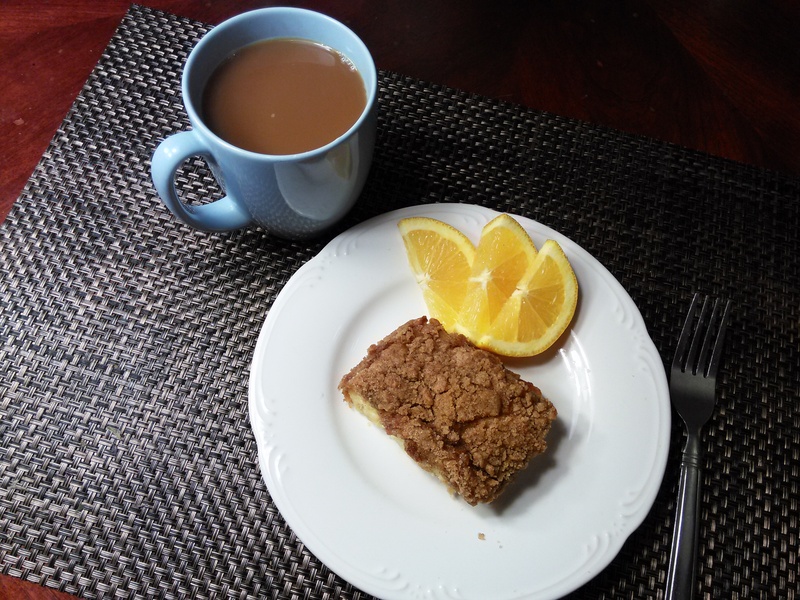 I made a typical streusal topping and made it next level by adding fresh nutmeg and a pinch of ginger. This recipe is for a 9×13 pan. Slice or cube the bread and arrange in a greased 9×13 casserole pan and drizzle the melted butter over top. Place in the oven for about 10 minutes or until bread is nice and toasted. Meanwhile, mix together eggnog, eggs, juice and zest. Remove bread and turn off oven. Pour the eggnog mixture evenly over the bread. Press, but don’t squish any dry bread down into the egg to make sure it is wet. Cover and refrigerate for at least 4 hours, but overnight is best. When ready to cook, Preheat oven to 350 and remove casserole from fridge. 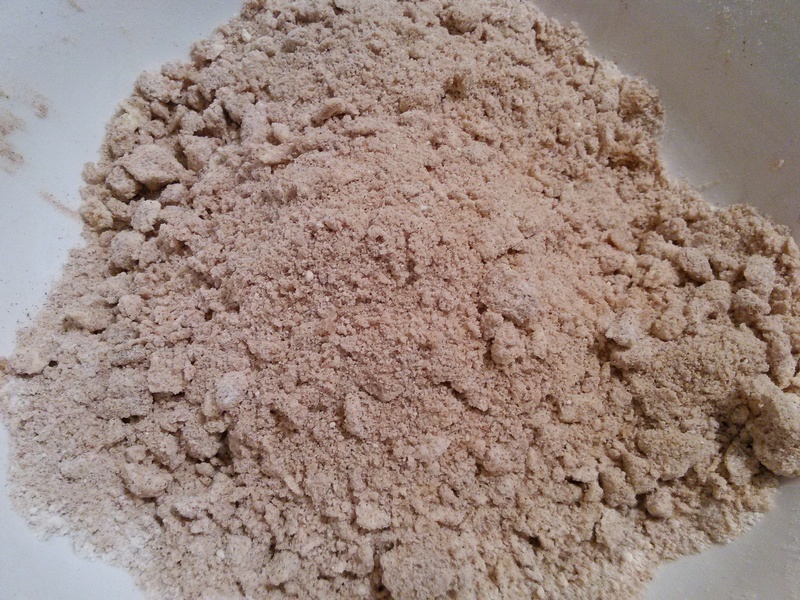 Combine all streusal topping ingredients into a bowl and mix with a pastry blender (or two forks) cut until crumbly. 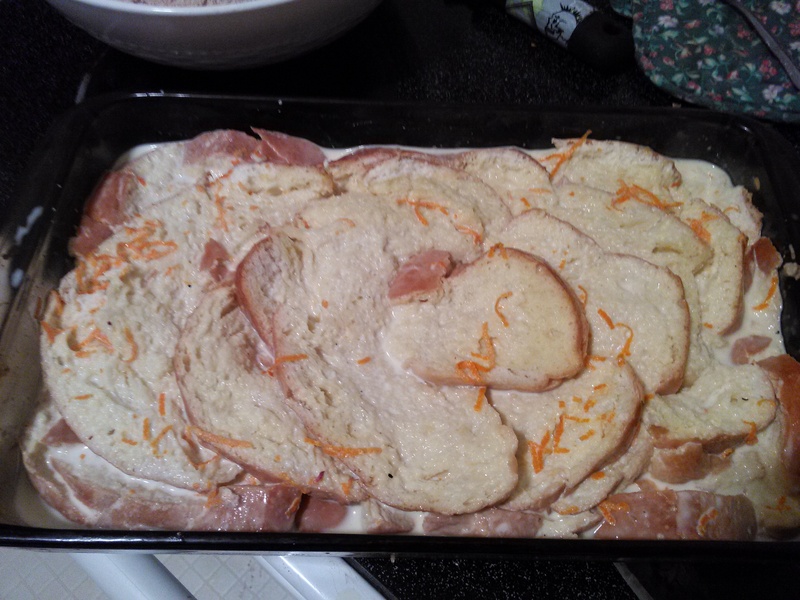 Sprinkle the mixture of the top of the casserole and bake about 35-45 minutes until bread is no longer wet. This is a little tricky with the topping, but after 35 minutes just take a spatula and cut the casserole into the serving sizes and have a looksie. If it is still a little wet, pop it back in at ten minute increments. Allow the casserole to cool to room temperature.